Continuity is a short adventure for Eclipse Phase. The characters, researchers on a remote outpost, check in for a backup--and awaken in new bodies to discover two weeks of their lives are missing. They have limited time to find out what happened to their previous selves—and deal with a looming threat. 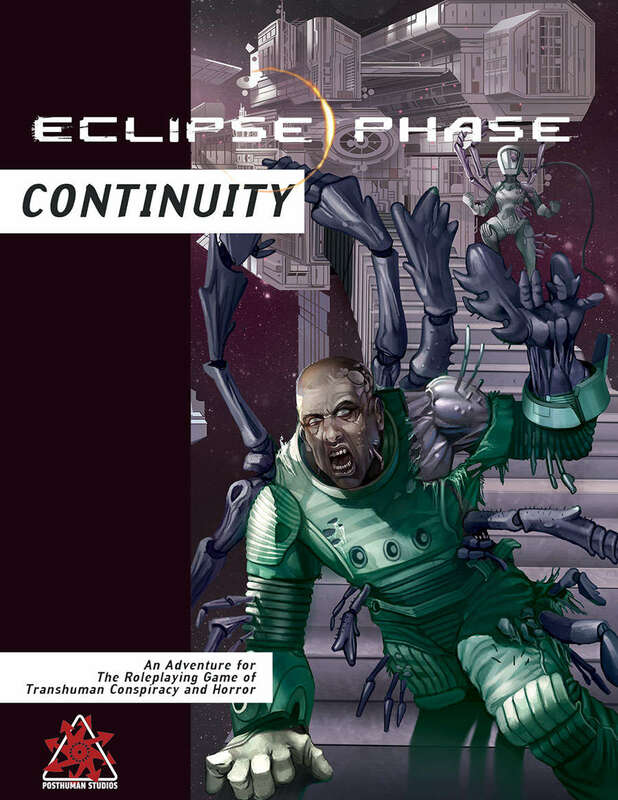 Continuity was designed as a one-shot scenario using sample characters from the Eclipse Phase First Edition or Sunward but can also be used as a campaign's introductory scenario or otherwise modified for use in a campaign. Continuity is available in print and as a 15 page PDF (two versions included: landscape and portrait) and also includes audio snippets embedded in the PDF file and as individual MP3 downloads.